President Trump’s proposed $54 billion defense spending increase has sparked predictable debate, and rightly so. It’s accompanied by drastic cuts for programs that help the poor, protect the environment, fund medical research and support diplomacy. The “guns versus butter” debate is important, but I’m neither an economist nor defense expert, so I’ll leave that to others. The specific size of the proposed increase, however, got me thinking about one Pentagon program that I have studied extensively, the Global Positioning System. GPS offers an interesting, perhaps unique, example of how military spending can drive other economic activity. U.S. defense spending dwarfs that of all other nations and consumes about a sixth of the federal budget. In 2016, we spent about $611 billion on defense. That was more than the next eight nations combined and more than 36 percent of the $1.686 trillion spent by all nations. Whether you think legitimate security needs warranted all that spending, there is no denying the defense sector is a linchpin of American industry. Many who ardently support defense spending are the same folks who say they oppose using government programs for economic stimulus. But all government spending spurs economic activity. It’s just hard to measure how much and find agreement on whether we get our money’s worth. Keynesians tout the “multiplier effect”—that a dollar of government spending stimulates more than a dollar’s worth of private economic activity. But this ripple effect surely depends on the particulars of a given program. How do you calculate the economic value of feeding a homebound senior or vaccinating a poor child? If the federal government constructs a superfluous building, its value is easily discovered by putting it up for sale. But if the Navy builds an aircraft carrier it doesn’t truly need, what then? I’m sure that overseas sales of the much-criticized F-35 Joint Strike Fighter, which reportedly will sell for $85 million to $110 million per plane (there are three versions), will rack up huge numbers for Lockheed Martin. Economic benefits will ripple through the international partners and suppliers involved in the fighter’s development. The Air Force has managed GPS for dual military and civilian use since Congress first authorized it in 1973. GPS consists of more than two dozen satellites (typically 31) orbiting 12,500 miles overhead. Each satellite has at least one functioning atomic clock and continuously broadcasts free radio signals with time codes that enable receivers to precisely locate their position in the air or on land, as well as synchronize clocks to the split second anywhere in the world. Land surveyors used GPS signals in the early 1980s, before the system contained enough satellites for navigational or military use. In 1990-91, the still incomplete system helped make the Persian Gulf War a short, lopsided affair. 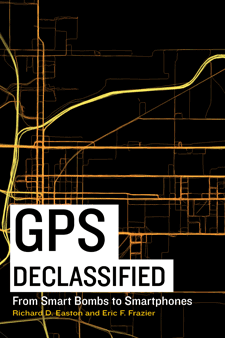 Since completion in 1995, virtually every weapons system has incorporated GPS, and its civilian/commercial uses have mushroomed. They include agriculture, aviation, fleet tracking, power distribution, and information networks from the internet to ATMs to cell phones. A 2011 study put the cumulative cost of GPS (satellites, launches, ground control, etc.) through 2010 at about $35 billion, with ongoing costs approaching $1 billion per year. That means total taxpayer spending on GPS to date is about $47 billion. A 2015 study, “The Economic Value of GPS: Preliminary Estimate,” concluded that GPS provides at least $37 billion to $75 billion in economic benefits to the United States annually. The study suggested the midpoint of that range, $55.7 billion, as a conservative estimate of domestic economic benefits. 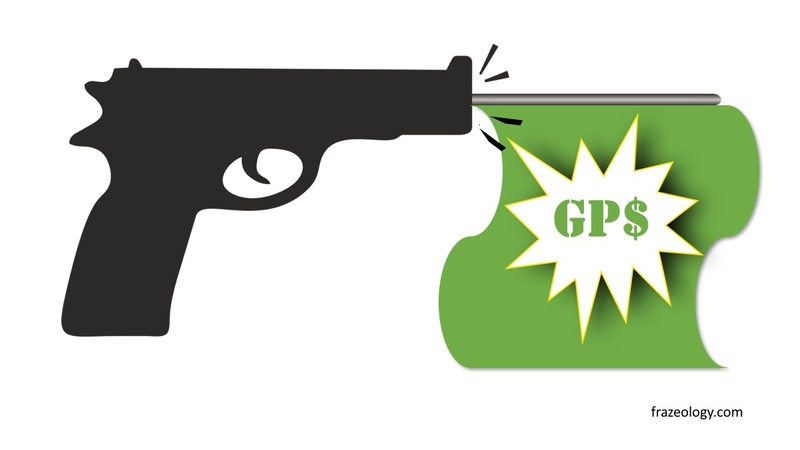 Together, these studies show that GPS, apart from its military value, produces annual economic benefits in the United States alone that exceed its total cost to date—an amount that is still less than this year’s proposed defense spending increase. The return on investment for GPS is arguably the biggest bang-for-the-buck of any Pentagon program. And there is more to the story. Following America’s lead, Russia, China and the European Union each have built or are building similar global navigation satellite systems, known collectively as GNSS. Through cooperative international agreements, all four systems offer civilian signals worldwide, increasing usable satellites ultimately to around 120, versus about 30. Receiving devices—smartphones comprise 80 percent of all GNSS receivers—increasingly utilize signals from all four constellations. This greatly improves reliability and accuracy. There are more clear signals not blocked by buildings or trees. Microprocessors can compare multiple signals and wheedle out tiny errors in each one. GPS, as the oldest and best established global satellite navigation system, is used by 100 percent of the estimated 5.8 billion GNSS devices in use today worldwide. The Air Force calls it the “gold standard” for these systems. Just don’t mistake the GPS acronym for Government Provided Stimulus.